While not everyone loves lighthouses as much as we do, I don't know anyone who doesn't at least appreciate the beauty of majestic lighthouse that has stood the test of time, in all it's glory. We try to seek out and take advantage of lighthouses in our travels, and have found that over the years we have amassed quite a collection, not just nationally but internationally. Lets's start our tour local to us, and go from there. We are fortunate to live so close to one of the most historic lighthouses in existence. Scituate Light was commissioned in 1810 and completed Sept 19, 1811, making it the 11th lighthouse in the United States. Cost to build: $4000.00. The keeper's house is a private residence and the tower is open to the public on rare but special occasions. The outside of the tower is accessible to all and has been the site of many weddings and other small events. We have taken countless photographs at Scituate Light (weddings, Super Moon, engagement shots, family photos and personal photos) but this is the one photo that always seems to get the most "ooooooohhhhs" and "aaaahhhhhhhhs". Let us know if you agree did this make you "oohh" or "ahhh"? Boston Light is another "chock full of history" gem that we have the good fortune to live close by to. Accessable only by boat with an arranged tour, this beauty dates back to 1716 and was the first lighthouse to be built in the United States. The current Boston Light dates back to 1783 and is the second oldest working lighthouse in the United States. The light was automated in 1998 however there is still Coast Guard staff manning the station for tours. (The last time we visited, it was manned by a wonderful historian named Sally). If you live in the area or are visiting, please keep in mind that the tours to see and climb the lighthouse provide you with a priceless adventure. Tours are seasonal and information can be found by clicking here. A trip to Rockport, Mass will bring with it more lighthouse. Here we have Cape Ann, a subtle yet stunning lighthouse is one of a set, current structure was built in 1861 (original construction in 1771). Moving on up to Maine, where you will likely find the greatest number of lighthouses, we present to you Cape Neddick Lighthouse, also known as Nubble Light in York Maine. Said to be the most photographed lighthouse in the world, she is an undeniable beauty. So close yet unobtainable on its own little island, the town does an annual lighting for the holiday season the first Saturday after Thanksgiving. Take note of the lighted Christmas tree visable through the front window. One of my personal favorites in Maine, Portland Head Light in Cape Elizabeth has much to offer. Privately owned, the tower is not open to the public, but there is a museum and a small gift shop, and you can walk the grounds freely at no charge. There are 90 acres to explore which is Fort Williams Park as well as the grounds of the now defunct Goddard Mansion. She was first lit January 10, 1791. My research tells me it costs $2250.00 to build. If you look off to the right in the distance you'll see a "bonus" lighthouse. That's Ram Island Ledge Light in Casco Bay. Built in 1905, it's nearly a twin of Graves Light in Boston Harbor, built around the same time. We also enjoyed this little surprise we found while lighthouse searching on Thanksgiving day. Portland Breakwater Light, aka Bug Light in Portland, Maine is small but packs a punch. What I enjoyed most is that you can walk right out to her and say "hello". She was built in 1875 but never shows her age. Another favorite in the Portland area, Spring Point Ledge Lighthouse was established in 1897. "Lighthouse" is synonymous with New England, so how excited do you think we were when we started searching for and finding great lighthouses in our travels outside New England? In Miami we found Cape Florida Lighthouse just waiting for us to discover her on the beach. Built in 1825 and reconstructed in 1846, she is the oldest standing structure in Miami-Dade county. One of our quick trips to Canada had us bumping into this little cutie. Her names suites her well, Port Dalhousie, because she does look like a doll house. She is located in St. Catharine's, Ontario. Owned by the Canadian Coast Guard, the tower is closed to the public but the grounds are open. Another picturesque find, Old Point Loma Lighthouse is located in San Diego, California. Conceived in 1851, she was first put into use on November 15, 1855. Steeped in history, she was a delightful find on our trip, and we were so happy to have met her. The last of what we have to offer today are non working lighthouses we found on Cayman Island. Well hidden and possibly not the biggest tourist attraction, we were still attracted to these two obscure structures. The Cayman's do not boast any traditional lighthouses but there are several historic beacons regarded locally as lighthouses. We found these two on the East End, and once you find them, you'll find they are well-preserved and have many plaques to tell you their stories. The lesser structure next to East End Light is no less important but we couldn't figure out if it had its own name. Phew! This post has gone on a lot longer then I intended. I hope you have enjoyed our tour of lighthouses, near and far. If you know of any great lighthouse we should visit and photograph, please comment below and let us in on them! You can view more of our lighthouse photography here, where prints are available for purchase in all sizes. (Any purchased prints will NOT have our watermark on them). 2012 was a great year for Photo & Video by Joe Goldsberry. We've truly been blessed to have met so many wonderful people who started out as clients and became friends. We are also very aware, as a small business, how lucky we are to have acquired so many wonderful clients. As we all enter 2013 together, we'd like to take a look back at some highlights from 2012. We hope we can make some of you smile, as many of you have made us smile, ear to ear. In 2012 we met a local Bon Jovi tribute band, Living on a Bad Name, and came out to photograph and film some of their shows. Here are a couple of our favorite photos of them, taken at an outdoor concert in Dartmouth, Mass. 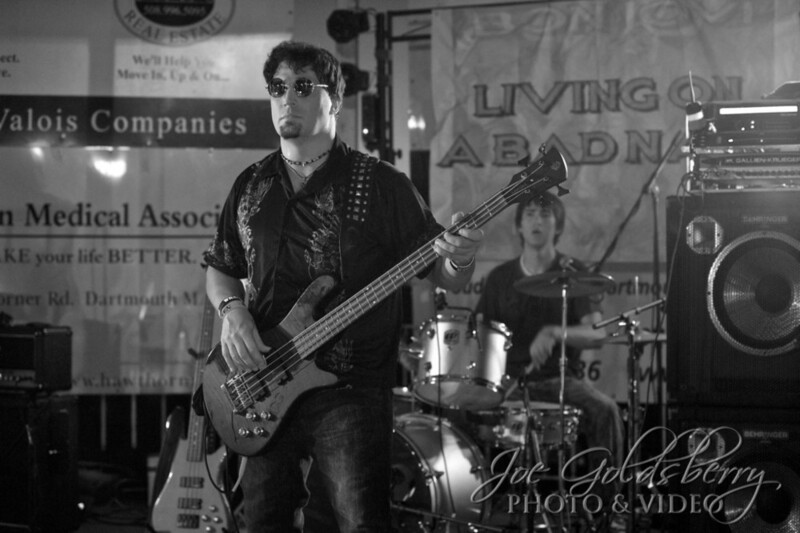 Bon Jovi tribute band Living on a Bad Name bassist John Miker, with drummer Keith Pittman in the background. 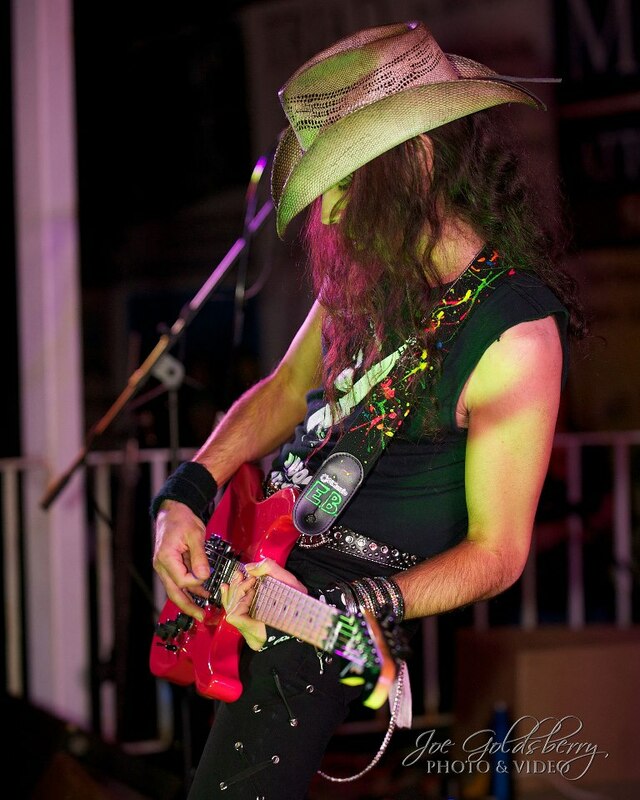 Ethan Brosh, always busy dividing his time between bands, seen here with Bon Jovi tribute band Living on a Bad name. We took a poll earlier in the year, and found that our FaceBook audience loves baby photos more than any other! Some babies were just born to be cute... Maybe "steal the show". Lainey brought her parents to Whitman Town Park for a few shots. 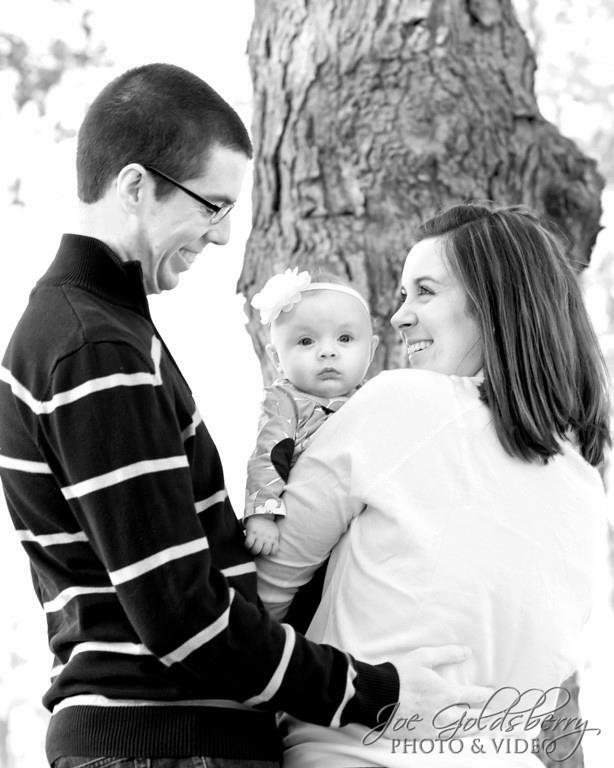 Family photos are meant to last a life time, and this brother and sister will cherish this photo when they have kids of their own. Three views of Niagra Falls. When Canada gets too cold, and you need to warm up, the Cayman Islands will hit the spot. Sun rise at The Reef, on the East Side of Grand Cayman. We photographed quite a few charity and community events. Here, we even got Billy Costa to tip his glass to us at a charity golf event at Pinehills Golf Club. KISS 108's Billy Costa and a fan at Pinehills Golf Club in Plymouth, Mass. Another great community event we captured in 2012 was the Abington, Mass rededication ceremony for their 300th anniversary. 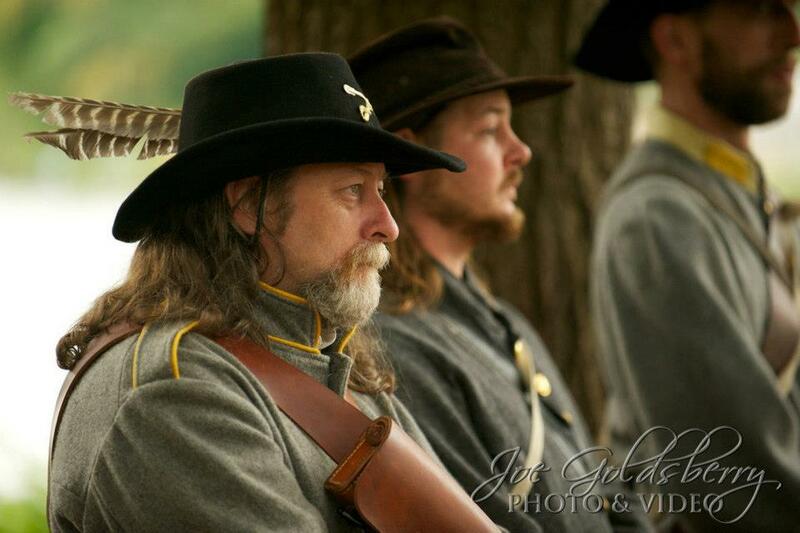 Soldiers came to life for the Abington Mass 300th anniversary and rededication ceremony. And we can't forget the weddings! This photo is our "most clicked" FaceBook photo. It was "liked" almost 150 times, and viewed well over 2,000 times. Perfectly beautiful and oh so colorful brides maids! We've photographed weddings of all sizes this past year, and one of the smallest took place at the Church Street Chapel in Whitman. Stacie and Justin had only a handful of family and friends witness their wedding, but this photo shows the love that filled the room. Stacie and Justin say "I do" at the Church Street Chapel in an intimate wedding ceremony. We were also asked to photograph and film the same wedding, a first for us. The bride and groom, Debbie and Joe, could not have been happier with the outcome. With a beautiful traditional ceremony at The Christ Church in Plymouth, followed by a fun-filled ceremony in Norton, we managed to capture everything they asked for on both photo and video. About to say "I do", Debbie and Joe exchange vows at the Christ Church in Plymouth. Of course we could go on and on, showcasing so many babies, kids, families, brides, grooms, people and places. But we'll wrap up this "look back" by showing you the highlight video from one of our most famous weddings of 2012. Deanna and CJ had their Easton Country Club wedding showcased on TLC's Four Weddings. This highlight video was our most shared blog post, shared 175 times on FaceBook. The "Four Weddings" wedding at Easton Country Club. 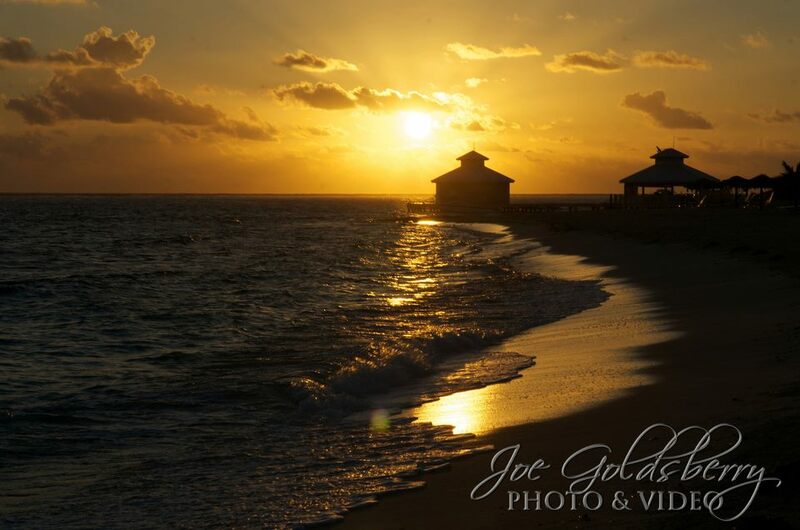 Thank you, everyone who has supported Photo & Video by Joe Goldsberry in any way. Whether you're a past client, a 2013 client, or you clicked "like" on a FaceBook photo, we appreciate you, and we are so happy you are taking this journey with us! O Canada! Waterfalls, tall buildings, the Red Sox... and a streaker?? We took a quick trip to Canada last week, mainly to see the Red Sox play in Toronto. It's a stadium we have always wanted to see in person. But to get to Toronto, we had to go through Niagara Falls (slowly as I turn...) and see some sights along the way. First up, the beautiful and awe-inspiring falls. One side American, one side Canadian. Both sides amazing. Before we took in the Red Sox game, there was a tall building to leap in a single bound. Well, at 147 stories, we decided to take the elevator instead. The CN Tower certainly is a sight to behold. And how about those Red Sox? Rogers Stadium is a great ball park. We went to the Tuesday game... and our team lost. We had a couple of wonderful locals sitting next to us. They lived up to the Canadian stereotype of extreme politeness. They apologized to us for booing the Red Sox. The said they were booing the Red Sox with the utmost respect. Then, all of a sudden, onto the field sprints what they never show on TV. The streaker! He actually kept his sneakers and black speedo on, so he wasn't a "true" streaker. He had YOLO painted on his chest, although I am pretty sure it doesn't count as YOLO if you need to get bailed out. Ok, enough idle chit chat- you want photos, right? It was a whirlwind 3 day trip, chock full of fun. Let us know your favorite major league park, as we like to visit a new park each year. Having just bought a new camera (Nikon D700), we had to give it a work out before our first wedding of the season. We'll be at The Quincy Marriott and The Neighborhood Club in Quincy this coming weekend photographing Ericka and Mark's wedding, and you can be sure there will be a blog post dedicated to their wedding. In the meantime, we returned to some of our favorite spots, and we found some new ones, as well. You've certainly heard us rave about The Union Bluff in York, Maine (which is where we stayed on this jaunt). Check out this 30 second exposure, taken from our balcony at The Meeting House section of Union Bluff. It overlooks the motel section and the main building. What's that, you say? You'd love to see Nubble Light at dawn? Joe heard you. He got up real early. He drove over to Nubble Light at 6:00am. And here is the shot he got... just for you. Of all the pictures we took the past few days, we'll end with yet another "new to us" lighthouse. It's called Boon Island Lighthouse, off of York, Maine. It's about 6 miles out in the ocean, but catching the image at just the right moment in time makes it clear to anyone who views it that they are looking at a lighthouse. Please take a moment, and let us know which image you like best, and why. We take pride in all our photos, but we love the feedback from our fans! When you're a professional photographer, your camera is your paintbrush, and the world is your canvas. There is a place in New England, a hidden gem, that we want to share with you. It's a town called York, and it's in southern Maine. About 90 minutes from Boston, and you have easy access to New Hampshire and Vermont, as well. We try to get to York a few times a year, and when we do, we always stay at The Union Bluff. We don't have to bring a camera with us everywhere we go, but what fun would that be? Having just returned after a couple of days in York (which included watching a certain ill-fated football game at The Union Bluff Pub), we wanted to share some of the fun and photos. If you are wondering why we'd return to the same spot, time after time, take a visit to York and you'll find your answer pretty quick. Filled with the nicest, friendliest and most "down home" people you'll ever meet, one visit and you'll be hooked, too. York is also home to what is said to be "the most photographed lighthouse in the world". Cape Neddick Lighthouse, more commonly known as "Nubble Light", is a beauty to behold. Located down the road from The Union Bluff at Sohier Park, Nubble Light has ample free parking and many views to easily photograph it from many angles. It's not always rest and relaxation at York Beach. 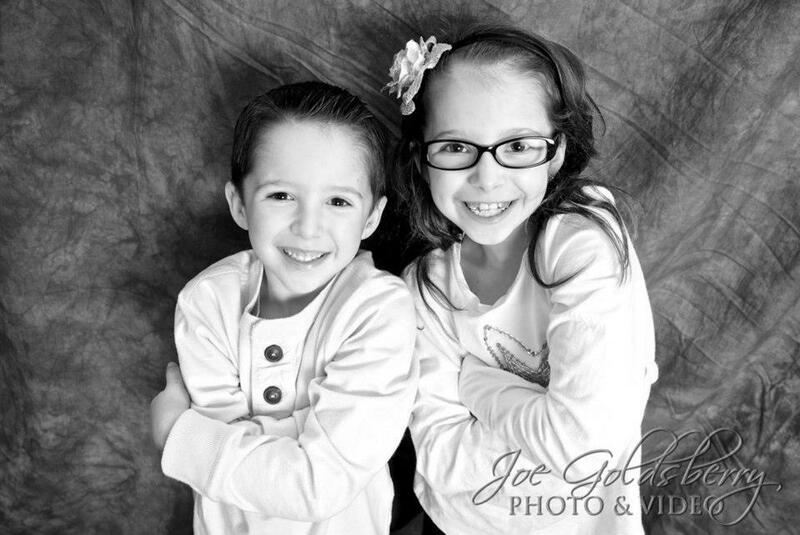 We have been commissioned more than once for family portraits in the area. One of our favorites, little Waverly, was taken about 2 years ago. We hear she has a new baby brother, and is ready for some new family portraits. If you're looking for a quiet getaway, or if you're not a "jump in the ocean" beach person, visit York off-season. If you like swimming in the ocean, an old-fashioned arcade and bowling alley, and some hustle and bustle", visit in the summer. You can walk to York Zoo from The Union Bluff via an easy stroll through the quaint downtown area. Back at the hotel, you can see, hear and smell the ocean from your balcony. If you take the trip to York, or if you have already been, let us know what you think. We'd love to compare notes!